Nikon is a company famous for it's high-quality and affordable optical instruments. As one of the leading manufacturers of riflescopes, Nikon has some of the best scopes on the market. Of the many scopes that Nikon has to offer, the Prostaff and Monarch series of scopes being amongst its best sellers. So how do these two compare? In this article, I will be comparing the Nikon p308 vs. m308 with the aim of helping you figure out, which is the better of the two. The Nikon P-308 and M-308 come in several variations. And while all the variations of these two amazing Nikon scopes can serve you well, they are each unique in their own way. Thus in the batter of the Nikon p308 vs. m308, it comes down to what each scope has to offer. Additionally, to choose a winner in the battle of the prostaff vs. monarch, you will have to look at what each of the best scopes has to offer. That being said below is a comparison of the two leading Nikon Prostaff and Monarch scopes. than the Nikon P-308 4-12x40, But P-308 also offers almost same features as like M308. And the price is close to half than M-308. 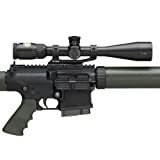 But choosing M-308 4-16x42 instead of P-308 4-16x42 mm would also be a great choice for sure if you want to spend lil bit more money for a great scope. This Nikon M-308 1pc Mount w/ Built-In 20 MOA Slope is one of the most favorite of my arsenal. You Can check it by clicking on the image. From the Above Comparison and according to our field test both optics performs significantly, and nothing will be wrong to choose between two. But I will give a slight preference to Nikon M-308 SF 4-16x42 mm in this round because of its Nikoplex Reticle, which is a great addition to long range shooting. Why I Prefer Nikoplex Reticle? Final verdict : Which One To Buy? The Nikon P-308 4-12X40 and the Nikon M-308 4-16x42mm look so much alike that it’s hard to tell them apart. Of course, this is because the Nikon P-308 is designed to be a cheaper version of the pricier Nikon M-308. And being a cheaper version, the P-308 lacks some of the features found on the M-308. For starters, the P-308’s 40 mm objective lens is small compared to the M-308’s 42 mm objective lens. Similarly, while the P-308 offers you a maximum magnification of 16X the P-308 manages a maximum magnification of 12X. So how do the two scopes compare? Well for starters, the M-308 version is the heavier of the two weighing 19 ounces to the P-308 17.5 ounces. However, the P-308 lacks a parallax setting, which its pricier counterpart comes with. Both scopes use Nikon’s tested and proven 800 BDC reticle and are compatible with AR 10 rifles that fire the .308 Winchester rifle. Also, both scopes have fully multicoated optics that deliver super sharp image quality and brightness. Interestingly, both scopes measure 13.5 inches in length. Thanks to its wider objective lens, the M-308 offers a better field of view of 25 feet at 100 yards. Also, it comes with a pretty amazing eye relief of 3.7 to 4 inches. Both scopes come with the easy to use instant spring-loaded zero-reset turret complete with a course knurled top rings. Thus in terms of ease of use, they both are very easy to use in the fields. So which is the better of the two? Considering the M-308 costs almost twice the price of the P-308 and it offers almost the same features, I would have to say that the Nikon Prostaff takes this round. In the second round of prostaff vs. monarch, we have the Nikon p 308 4-16x42 vs. Nikon M-308 4-16x42mm with a Nikoplex reticle. As its name suggests, the Nikon M-308 SF 4-16x42mm has a Nikoplex reticle as opposed to a BDC reticle, which it’s cheaper than the counterpart comes with. Similar to its sibling the P-308 with a 4-12X magnification, the Nikon p 308 4-16x42 is designed specifically for the .308 Winchester round. However, so is the Nikon M-308 SF 4-16x42mm, the only difference being that the latter has a Nikoplex reticle. Based on my personal experience using both the Nikoplex and BDC reticle, I prefer the Nikoplex, why? Well for starters, the Nikoplex version of the Nikon M-308 4-16x42mm has an elevation cap marked in yards. Also, I love the Nikoplex because of its uncluttered appearance. Unlike the BDC reticle, the Nikoplex reticle has fine crosshairs in the middle. In terms of optical performance, it’s hard to say which the better of the two is. Both come with a 4-16X magnification and a 42 mm objective lens and fully multicoated optics. Interestingly, the M-308 version is lighter than the P-308 variant. Nonetheless, the P-308 redeems itself by offering a wider field of view of 27 ft at 100 yards compared to its counterparts 25 ft. Both scopes come with a parallax setting and a matte black finish. On the contrary, considering that it is costlier, the M-308 performs at the same level as its counterpart. The reason why it costs more is that it comes with the Nikoplex reticle, and while the BDC reticle is great in its own right, I do not believe it can match up to the Nikoplex. It is for this reason that I settle on the Nikon M-308 SF 4-16x42mm as being the better of the two. The Nikon p308 vs. m308 debate is one that can go on and one. This is because both Prostaff and Monarch scopes are great. In fact, they are amongst the most bought scopes, which is a testament to their optical quality. Additionally, both the Nikon P 308 and the M 308 are designed for long range shooting. And compared to other scopes designed for long range shooting, these two Nikon offerings offer great value for your money. The only question that you will need to answer is, which amongst the four above you should choose. If you are a newbie looking for the best scope, I recommend going with the Nikon P-308 4-12X40 mm scope. The latter is the cheapest of the four and offers almost the same features as its counterparts. 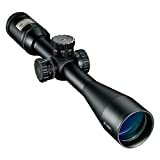 On the other hand, if you want a sophisticated scope for your long range needs, go for the Nikon M-308 SF 4-16x42mm. I find the Nikoplex reticle found on the latter scope to be ideal for long range shooting. In conclusion, the scope you choose among the four will depend largely on your needs and budget.